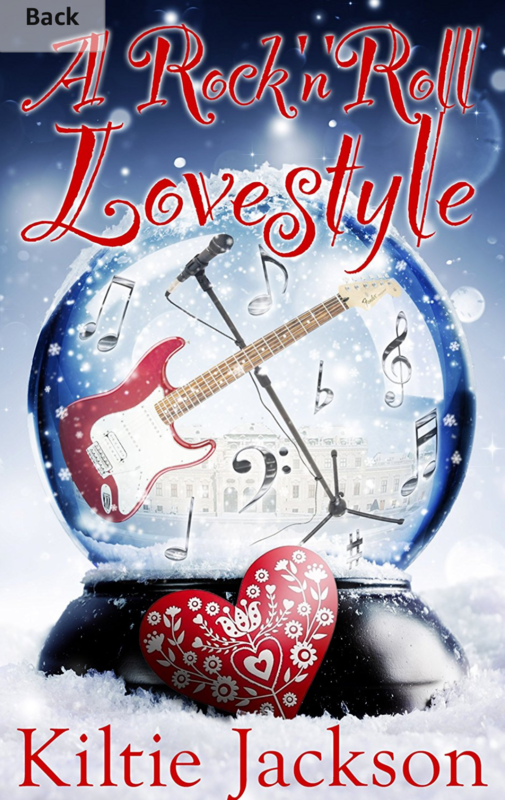 Today I have a book review for the romance novel Rock ‘n’ Roll Lifestyle by Kiltie Jackson. I’m lucky enough to have spoken a lot to Kiltie via The Fiction Cafe book group which we are part of and she is a fantastic person. A Christmas-loving Cat lover? A Sound of Music Fanatic? A Fiercely Independent Woman? She is all of the above. And when she is sent to Salzburg for a business trip a few weeks before Christmas, she thinks all her dreams have come true. As she packs her suitcase, the only things on her mind are Christmas markets, lots of snow and finally seeing the Doh-Ray-Me steps. Becoming the new best friend of the world’s hottest rock-star doesn’t even get a look in. Pete Wallace is a reclusive, reluctant, rock-star and the world’s Number One, best-selling, male solo artist. It’s been three years since his last tour and he’s now preparing to go back on the road again. A week in Salzburg, schmoozing with the music press, is one of his worst nightmares. He can’t wait for it to be over. When Pete and Sukie meet, it is the beginning of a beautiful friendship. Lonely for too long, he begins to remember how it feels to be happy and, for the first time in six years, Christmas feels special again. Eduardo di Santo however, whose kid sister suffered life-changing injuries at a Pete Wallace concert, is all set on getting revenge. When Pete’s new tour is announced, he begins to make his plans. Plans that will culminate in Pete’s demise. Will Pete and Sukie’s new friendship die before it has a chance to flourish? A Christmas tale full of love, laughter, friendship and revenge. While chick-lit isn’t a genre I generally pick up I do like the occasional cosy read. When I read the blurb for this book I couldn’t wait to read it. What is better than a Christmas cosy chic-lit? Within a few pages I was sucked into the world of Sukie and Pete. I found that I became quite invested in each of them as characters from quite early on. Sukie is a character I admire and could sympathise with, she is strong minded, loyal, thoughtful and stands up for herself. Pete is a guy who I felt for straight away. I felt such pity for him and the hardships his life has given him, it was understandable why he had some of the issues he did. The other characters were also really likeable. Each character no matter how minor had a great arc. Without giving too much away as I don’t want to spoil it for everyone. I was so chuffed at the end when things came together and ended how they did. Kiltie is such a fantastic writer, her writing flows beautifully and she really has a way to pull you into the story. I am looking forward to seeing what else she comes up with.